We book clients every show we do, regardless of how big or small it is. 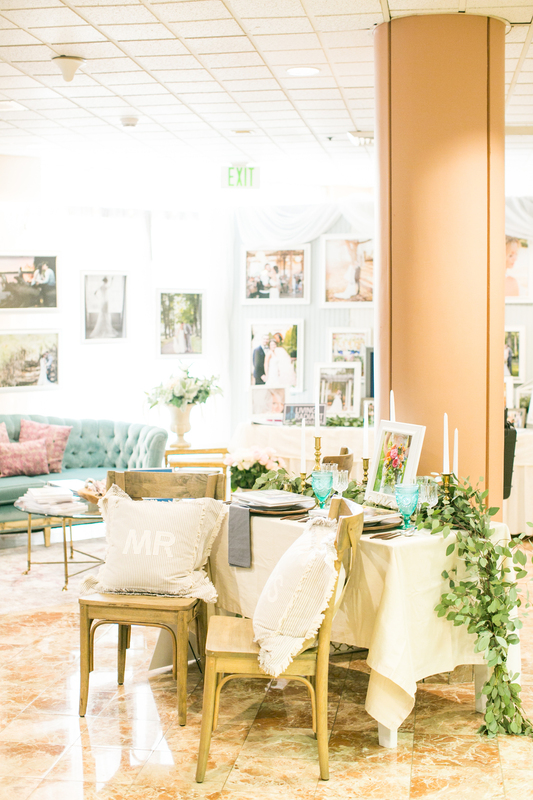 When Patrick and I went full-time in June 2014, we decided we would try out some bridal shows. Now here's a disclaimer... there's a lot of them out there. And some are what we call "meat markets" where these poor unsuspecting brides goand they have no idea they are going to get moved along like cattle, talked to, sold to, have things shoved into their hands, lots of liquor galore to keep them sane, and way too much to absorb. In my head they are the shows that are SO massive that it's a frenzy and there's not enough time to meet people let alone say "hello". That poor bride ends up with a bag for recycling by the end of the show and the vendors are just hoping that maybe "that" bride will hire them. We try to avoid those unless we know we have a chance of getting through to these already overwhelmed brides. But in all seriousness, some shows just aren't us, so we are picky about the shows that we choose to do. 1. We don't do them all. We pick the shows we "think" our target bride will come to. It may require dishing out more $$, but our theory... if we book just one, it was totally worth it for that show. We would any day rather book 1 bride from a show that is totally our type of client and trusts us and loves us, than booking 5 "so so" brides, that I may not connect with. Shows are an avenue, not the solution. There's lots of ways to get business. Shows don't keep our business floating or swimming, they just give us a change of scenery. 2. Be Yourself. Patrick and I are naturally good with people... you know "people people." I'm a total social butterfly and like the dog in "UP"... squirrel! I get distracted very easily around good fun people. We love any reason to get together with people. We are deep believers that being yourself is the best thing we have going for our business because NO ONE is us. I and US are our best selling point. The same goes for you. There's no one on the planet like you. Optimize that. If anyone knows us well, they know Patrick and I are super patient people, full of energy, and we try our best to be intentional with others. Ask any of our brides why they choose us. I promise it's not just because of our quality of work but it's because of our love and zest for life, each other, and people. (I mean they do like our work too haha). 3. It's not your job to convince anyone. I always tell potential clients at shows "It's not my job to convince you to hire us. There's other amazing photographers in Baltimore." Instead we educate them and invite them in to sit with us. We are 100% confident in saying that we may not be the best fit for someone, because the truth is... there's really enough brides for us all and there are other amazing wedding photographers in Baltimore. Duh! 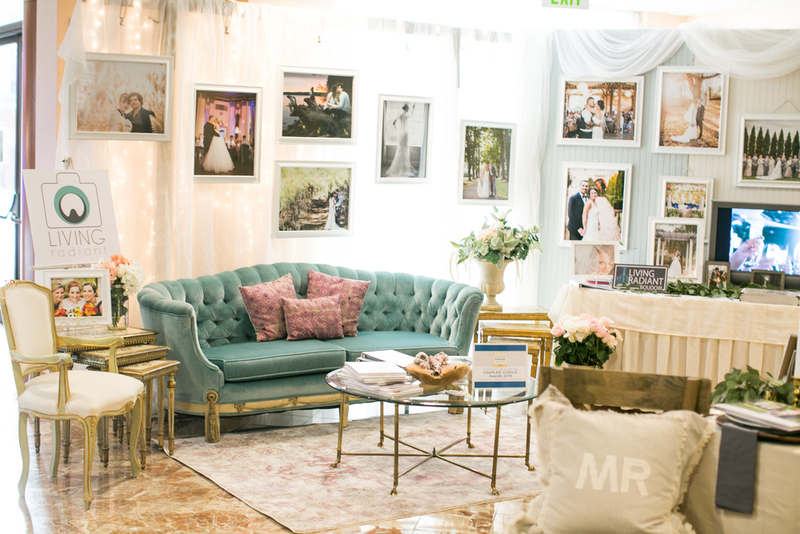 But in spending a little extra time, we somehow are able to keep brides at our booth for more than 5 or 10 minutes AND THEY WANT TO BE THERE. How crazy is that!? 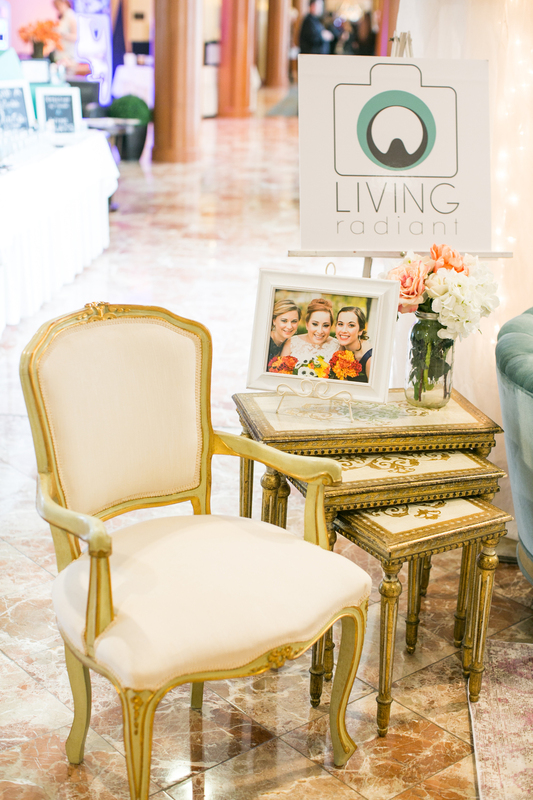 We aren't afraid to take time with the brides that need it and get to know them right then and there. Again, if we get one awesome #RadiantBride... it's totally worth it. 4. Create an experience. You have 10 seconds to make an impression on people, whether it's at a coffee shop, at a bridal show, or on tv. It's all the same, so it better be awesome. Before we even knew we would be wedding photographers or that we would do bridal shows, we've always been about the Client Experience. Smell, Feel, Touch, See, Hear... all those things matter. You see, when I was a bride planning my wedding, I didn't go to any shows. So I had NOTHING to base our first booth off of or other vendors. I just knew I wasn't gonna sit in a chair behind a table... soooo not personal. I just wanted our first booth to be really pretty and reflect us. Patrick and I always said, Client Experience is #1. We want our people to LOVE everything we do and how we do it, and WE LOVE creating an experience specifically for our people. So my goal, whether at abridal show or when I send a bride and groom their wedding gift package, it's to us in both tangible and intangible things, and to make brides take a double take and make them say "oh... wow...Is this for me!?" For example, almost every show we do, we give out beautiful roses to every woman that walks into our space. Not just the bride. We give them to the Mother of the Bride, Mother of the Groom, Girl Friends, any women present. Just because, no tags, nothing. Why? Because for us, it's a way to say without words "we place value on you." Creating an experience for your people is health to your business. 5. Have Fun. If you can't set up and break down your "booth" without a smile and good attitude, don't do them. Go spend your free Saturday with friends, really. Patrick and I love the set up, the networking, and laughter, the mess ups, the joking, the forgetting of things, etc. It's just life, and life isn't perfect. This doesn't mean these shows aren't work though.. oh they are. Patrick gets a workout every show, and you can bet I take clothes to change into after set up is finished. Our last set up we tried some new things and it turned out awesome... but it came with added stress and a desire for perfection. Kick those suckers to the curb if you're gonna do these shows. 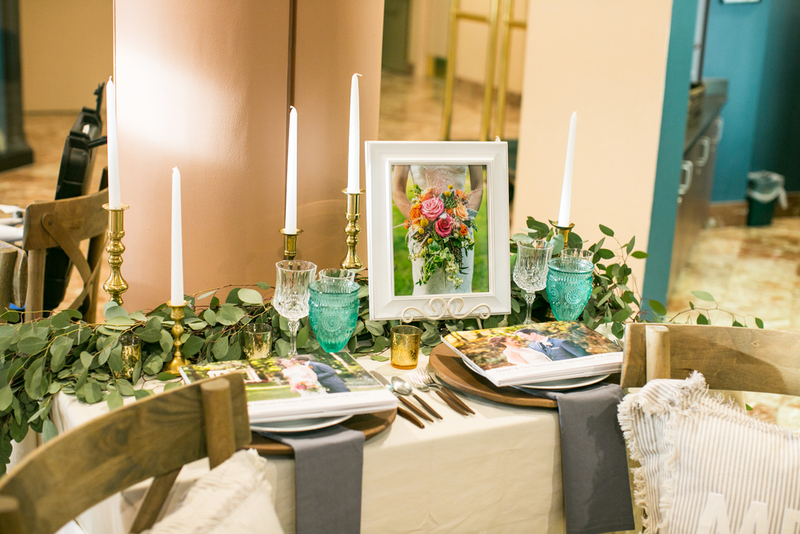 We hope this post is beneficial to many of our creative friends and even our future brides. We realize that everyone works their businesses differently and their marketing differently. We definitely believe Shows are a great way to generate more business and will continue to try them and learn as we go! Happy Booking! !